Is this the smallest UFO ever? 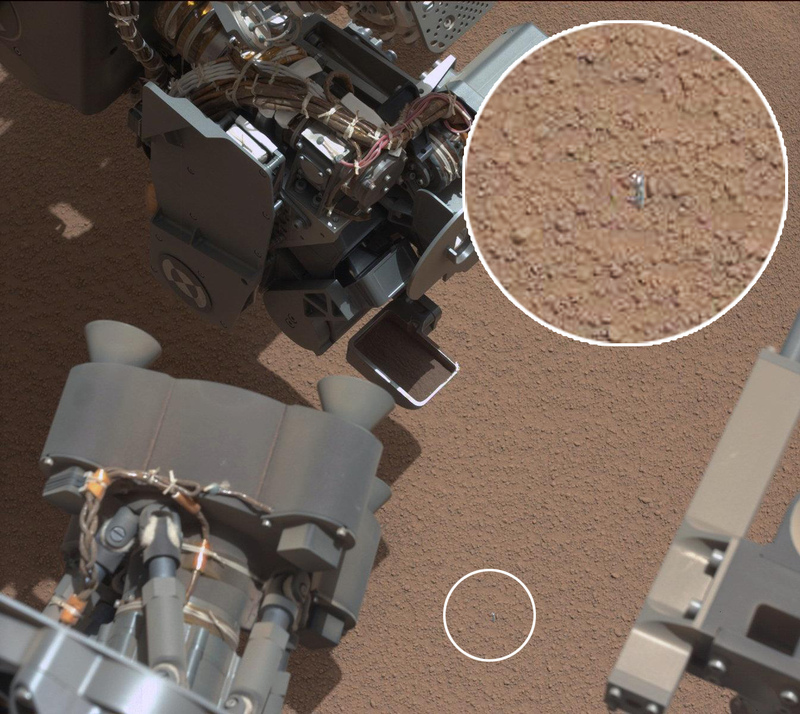 UPDATE: the object has been tentatively identified as a bit of plastic originating from the rover itself. Read more.